For this public act, both Archbishop Milingo and the four ordained [bishops] incur in a latae sententiae excommunication, envisioned by Canon 1382 of the Code of Canon Law. Moreover, the Church does not recognize and does not intend to recognize in the future these ordinations and all ordinations derived from them, and retains that the canonical status of the four supposed bishops remains that in which they found themselves before the ordination. We will be on a short recess here, for just a few days. Urgent news may be posted at any time. I.Media: Does not this gesture [the foundation of the Institute of the Good Shepherd] put in danger the negotiations with the Fraternity of Saint Pius X? I.Media: The Mass of Saint Pius V seems strengthened as an extraordinary form of the Roman Rite. Is that the case? Cardinal [Castrillón] Hoyos: This question also seems to me to go beyond what has actually happened. ... The rite of Saint Pius V has never been excluded from the life of the Church, and that is why the ancient rite was given as a proper rite to this institute, both to its members as well as to the faithful who seek [the institute], as to many other ecclesial realities. A few days after we published our interview with Professor Luc Perrin, a small storm troubled the French Catholic hierarchy, and befuddled the clergy of Bordeaux, when Pope Benedict XVI ordered the foundation, through Cardinal Castrillón Hoyos and his Pontifical Commission "Ecclesia Dei" (PCED), of the Institute of the Good Shepherd. It seemed appropriate, in order to keep an up-to-date version of the events, to ask Professor Perrin a few further questions -- a demand to which he graciously acquiesced. 1) Professor Perrin, what do you make of the events leading up to the foundation of the new Institute of the Good Shepherd? It is only partly a surprise. A handful of former SSPX priests, four of whom were expelled from the Society, have restored a full communion with Rome but ... were kept in quarantine by the French bishops. Even Archbishop Simon, who initially incardinated Father Aulagnier, without giving him any apostolate in his diocese, gave him recently a celebret , restricted to private masses only! I think it speaks volumes on the dominant episcopal mindset in France. So in a French Church where the lack of priests is year after year more desperate, traditional priests, well ..., cannot find any place. That is the genuine meaning of the April 2006 statement of the French bishops conference. On the other hand, the reconciliation with SSPX is, once again, stalled or delayed. The Good Shepherd Institute is another proof Christian charity isn't an empty word at least in one diocese... Rome. Fervent ultramontane Catholics, baptised, clergy, religious orders and bishops all united, knew that very well in the XIXth. Our neo-gallican era is quick to forget this basic tenet of Catholic faith expressed by Vatican I in a dogma. We can also tell that, by creating on September 8, 2006 a new traditional institute the Holy See fears the consequences of a much greater act of charity: providing not only traditional faithful but every Catholic and, beyond that, every Christian with the formidable stream of grace that the Traditional Latin Rites are. The Ecclesia Dei canonical regime has been a major gift from John Paul the Great and nobody can forget that. But the baby is growing and his clothes are staying at the same 1984-1988 size... It's more than time to upgrade the canonical status of the trad. communities worldwide. Is the Good Shepherd Institute the appropriate structure for that? Only very marginally, for a few priests, and very few lay people in one country. 2) Were you surprised by the strong reaction of the French hierarchy and clergy, considering that the new institute does not include any clear canonical improvement, as compared with, for instance, the previously existing Apostolic Administration of Saint John Mary Vianney, in Campos, Brazil? As far as I know, there isn't anything decisively new in the new institute's status. But we have just the decree of erection and limited quotations of the Statutes: even "some affirmations" of the decree signed by Cardinal Castrillón Hoyos and Msgr. Perl are called a "disinformation" by ... Fr. 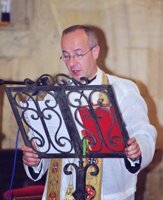 Jean Rouet, Vicar-General of Bordeaux in a September 15 public statement published by the official website of the archdiocese of Bordeaux! So the details of the canonical status of the Good Shepherd Institute are still wrapped into some clerical thick fog. Who is disinforming whom? The Cardinal-archbishop? The Cardinal-President of PCED? Father Laguérie or Father Jean Rouet? Future will tell, when the fog of contradictory statements vanishes with the sunrays of published documents. With the present informations, the new Institute is a FSSP bis with the same rights and the same limitations. Its members are just safe from being forced to celebrate NOM because they have TLM as a "proper rite": it is a response to concerns raised in 1999 by a protocol by Cardinal Medina Estevez that could have lead the Ecclesia Dei societies into bi-ritualism. Otherwise, Cardinal Ricard made it crystal clear from the start the Good Shepherd is under the standard canonical rules and so the bishop's permission is requested to have any apostolate in a diocese. Father Laguérie spoke also of a "convention" to be signed for them to stay in Bordeaux, though the Roman decree is naming Bordeaux as the mother house location for this institute. For what has been made public, the status of the new Institute is very far from the S.S.J.V Personal Apostolic Administration in Campos. We are watching the limitations of these standard provisions already: there is a growing rebellion within the clergy of Bordeaux; rather than rejoicing to be able to work alongside with new priests, rather than beginning this "true work of communion" (French bishops' declaration of April 2006), we hear a tempest in the modern clerical cup of coffee or ... glass of Bordeaux wine. 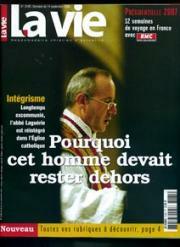 A former Catholic magazine had its cover last week with a picture of Father Laguérie and this ominous warning : "Why this man should have been kept outside"! Is he a Bin Laden in disguise? When Hans Küng chatted with Pope Benedict for hours, did you read similar statements? 3) What do you think of the surprising announcement by Father Laguérie of a document, to be issued "certainly in November"? If the document recognizing freedom for the Traditional Latin Mass is published one day, canonical provisions to regulate the use of various missals will be necessary. These provisions will have to be put under scrutiny. However, a symbolic recognition of the Traditional Latin Rites (Roman rite and the others) would be a significant step forward: it would show this Pope is not only embittered by the liturgical chaos that followed the last council but that the Successor of Peter is not afraid to lead the whole Church back on the right track. Isn't he the Vicar of the ... Good Shepherd? Young man, I say to thee: Arise! The bier -- and shall we renounce thus to believe and to act, to cry hopelessly about that which we loved so? It was thus, next to the bier, that the Naimite widow cried for her only son who was dead. But Jesus saw her and those tears moved Him, He got close to it, He touched the bier, and the dead man arose and sat up; and then he began to speak and [Jesus] restored him to his mother. Thus Jesus -- for Whom there are no irremovable nails -- will restore to our Mother, the Church, the object of so much of His and our love: the Mass... for which the martyrs died... .
...there are elements in the evolution of the early Church which do not have to be integrated into all cultures. Nonetheless, the fundamental decisions made about the relationship between faith and the use of human reason are part of the faith itself; they are developments consonant with the nature of faith itself. Father Christian Bouchacourt -- Superior of the District of South America for the Priestly Fraternity of Saint Pius X (FSSPX/SSPX) -- was interviewed by Fabián Vázquez, of Radio Cristiandad (link on our sidebar), regarding rumors that some priests of the District would join the newly-founded Institute of the Good Shepherd. He reiterated his declaration (see here) that such news was unfounded. -(2) In all likeliness, Fr. Bouchacourt's source is NOT the same as Laguérie's, which is clear from the fact that there are a few important differences in the degree of "liberalization" mentioned by both. We certainly respect the prudence of Father Bouchacourt, and these are times which demand utmost prudence -- but, as it usually happens, we felt compelled to publish this news as soon as possible, if only to prevent this very quotable affirmation from becoming a simple "rumor". Declarations from identifiable sources are not "rumors". Please, do note: these are qualified sources, not "Vatican sources", or "undisclosed, secret sources", unless one wishes to call two very serious priests, Frs. Laguérie and Bouchacort, mere rumormongers. *Transcript of the original answer: "Puede ser que habrá un texto, eso es casi seguro, que va a salir un texto, un documento sobre la autorización de la Misa, pero el Padre [Laguérie] es totalmente imprudente. Es una cosa -- yo lo sé de manera segura -- eh, todo esto se trata en el Vaticano de manera secreta. Nadie sabe nada. Es unicamente el Papa y sus colaboradores, nada más, nadie más. [Donc? ], hablar eso es, no es prudente, porque es, va, va crear un lío todo eso, hay que esperar, hay que esperar, se dice que la autorizacion estará para una celebración privada. Yo no sé. Pero hablar así, en todos lados, urbi et orbi, es totalmente imprudente. No se hace eso." Update (Tuesday): A reader sent us a more detailed transcript of the words (available here), which we added, partly, to the original translation (in red). The audio of the interview is available here (the actual answer to the question begins at approximately 11 minutes). 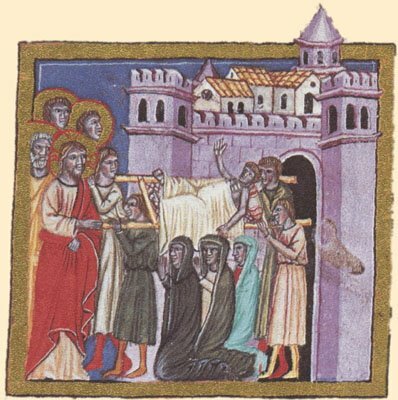 In a very rainy early afternoon in Castelgandolfo, the Holy Father personally acknowledged that he is "vigorously distressed" by the reactions to misunderstandings regarding a "small passage" of his lecture at the University of Regensburg, which was "considered offensive to the sensitivity of the Muslim faithful", that the "Medieval text" quoted by him did not reflect his personal opinion, and he offered the declaration issued yesterday by the Cardinal Secretary of State as the definitive explanation of his intentions. He added that the speech must be seen as part of a "frank and sincere dialogue". Naturally, the Holy See Press Office hopes the whole mess, which was started by inaccurate soundbites, will be closed by new inaccurate soundbites (such as "I am deeply sorry")... As we said yesterday, it is clear that "the lives and property of countless Christians in Muslim lands could depend on it". The Pastoral Visit which I recently made to Bavaria was a deep spiritual experience, bringing together personal memories linked to places well known to me and pastoral initiatives towards an effective proclamation of the Gospel for today. I thank God for the interior joy which he made possible, and I am also grateful to all those who worked hard for the success of this Pastoral Visit. As is the custom, I will speak more of this during next Wednesday’s General Audience. At this time, I wish also to add that I am deeply sorry for the reactions in some countries to a few passages of my address at the University of Regensburg, which were considered offensive to the sensibility of Muslims. These in fact were a quotation from a medieval text, which do not in any way express my personal thought. Yesterday, the Cardinal Secretary of State published a statement in this regard in which he explained the true meaning of my words. I hope that this serves to appease hearts and to clarify the true meaning of my address, which in its totality was and is an invitation to frank and sincere dialogue, with great mutual respect. Update 2: We see that Father Zuhlsdorf partly shares our disagreement with the simple translation of "rammaricato" as "sorry". We would add that the words were very carefully chosen (as were the words chosen for the Regensburg lecture...) and that there are dozens of truly straightforward ways of simply stating "regret" and of expressing an apology ("sorry") for personal mistakes in Italian. 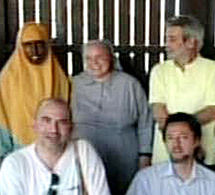 Update 3: Sister Leonella (Rosa) Sgorbati, a 65-year-old Italian nun, of the Consolata Missionaries, who worked in a hospital in Mogadishu, Somalia, was martyred today by Muslim forces (picture provided and hosted by Corriere della Sera). She was also one of four nuns who cared for approximately 400 children in the main orphanage of the city. Sister Leonella had been in Africa for more than three decades. Pope to scientists: respect human life! Human welfare should be sought not only according to a universally valid finality, but also considering the methods used to reach it: a good end cannot at all justify intrinsically illicit means. Muslim Council of Britain: not sure whether this is enough of an apology. And Cardinal Bertone was right when he decided to issue this declaration: the lives and property of countless Christians in Muslim lands could depend on it. But one can almost hear the secular media, a few decades from now, condemning the Papacy for its "silence" regarding the Islamic menace, as they do to Pius XI and Pius XII, of glorious memory, decades after their brave, yet prudent, stand in favor of righteousness and justice in an age of darkness. Urban in Clermont = Benedict in Regensburg ? The disproportionate reaction of all categories of Muslims regarding the Pope's speech at the University of Regensburg would make it seem that Benedict XVI has called for a new Crusade. It only makes the Papal message on the reality of the Rationality inherent to the Christian message, and notably absent in Mohammedanism, even clearer. certain values detached from their moral roots and full significance found in Christ have evolved in the most disturbing of ways. In the name of ‘tolerance’ [Canada] has had to endure the folly of the redefinition of spouse, and in the name of ‘freedom of choice’ it is confronted with the daily destruction of unborn children. When the Creator’s divine plan is ignored the truth of human nature is lost. I have found in Saint Corbinian’s bear a constant encouragement to carry out my ministry with confidence and joy – thirty years ago, and again now in my new task – and to say my daily "yes" to God: I have become for you a beast of burden, but as such "I am always with you" (Ps 73:23). Saint Corbinian’s bear was set free in Rome. In my case, the Lord decided otherwise. Jesus’ "hour" is the Cross; his definitive hour will be his return at the end of time. He continually anticipates also this definitive hour in the Eucharist, in which, even now, he always comes to us. ... In the Canon of the Mass, the Church constantly prays for this "hour" to be anticipated, asking that he may come even now and be given to us. And so we want to let ourselves be guided by Mary, ... by the Mother of all the faithful, towards the "hour" of Jesus. ...whenever priests , because of their many duties, allot less and less time to being with the Lord, they eventually lose, for all their often heroic activity, the inner strength that sustains them. Their activity ends up as an empty activism. To be with Christ - how does this come about? Well, the first and most important thing for the priest is his daily Mass, always celebrated with deep interior participation. [Emperor Manuel II Palaeologos] addresses his interlocutor with a startling brusqueness on the central question about the relationship between religion and violence in general, saying: "Show me just what Mohammed brought that was new, and there you will find things only evil and inhuman, such as his command to spread by the sword the faith he preached". The emperor, after having expressed himself so forcefully, goes on to explain in detail the reasons why spreading the faith through violence is something unreasonable. Violence is incompatible with the nature of God and the nature of the soul. "God", he says, "is not pleased by blood – and not acting reasonably is contrary to God’s nature. Faith is born of the soul, not the body. Whoever would lead someone to faith needs the ability to speak well and to reason properly, without violence and threats... To convince a reasonable soul, one does not need a strong arm, or weapons of any kind, or any other means of threatening a person with death...". The decisive statement in this argument against violent conversion is this: not to act in accordance with reason is contrary to God’s nature. I must briefly refer to the third stage of dehellenization, which is now in progress. In the light of our experience with cultural pluralism, it is often said nowadays that the synthesis with Hellenism achieved in the early Church was a preliminary inculturation which ought not to be binding on other cultures. The latter are said to have the right to return to the simple message of the New Testament prior to that inculturation, in order to inculturate it anew in their own particular milieux. This thesis is not only false; it is coarse and lacking in precision. The New Testament was written in Greek and bears the imprint of the Greek spirit, which had already come to maturity as the Old Testament developed. True, there are elements in the evolution of the early Church which do not have to be integrated into all cultures. Nonetheless, the fundamental decisions made about the relationship between faith and the use of human reason are part of the faith itself; they are developments consonant with the nature of faith itself. The organ has always been considered, and rightly so, the king of musical instruments, because it takes up all the sounds of creation – as was just said - and gives resonance to the fullness of human sentiments, from joy to sadness, from praise to lamentation. By transcending the merely human sphere, as all music of quality does, it evokes the divine. The organ’s great range of timbre, from piano through to a thundering fortissimo, makes it an instrument superior to all others. It is capable of echoing and expressing all the experiences of human life. The manifold possibilities of the organ in some way remind us of the immensity and the magnificence of God. In an organ, the many pipes and voices must form a unity. If here or there something becomes blocked, if one pipe is out of tune, this may at first be perceptible only to a trained ear. But if more pipes are out of tune, dissonance ensues and the result is unbearable. Also, the pipes of this organ are exposed to variations of temperature and subject to wear. Now, this is an image of our community in the Church. I came to Germany to bring once more to my fellow-citizens the eternal truths of the Gospel and to confirm believers in their fidelity to Christ, the Son of God, who became man for the salvation of the world. We believe in God. This is a fundamental decision on our part. But is such a thing still possible today? Is it reasonable? From the Enlightenment on, science, at least in part, has applied itself to seeking an explanation of the world in which God would be unnecessary. And if this were so, he would also become unnecessary in our lives. But whenever the attempt seemed to be nearing success -- inevitably it would become clear: Something is missing from the equation! When God is subtracted, things does not add up for man, for the world, for the whole universe. So we end up with two alternatives. What came first? Creative Reason, the Spirit who makes all things and gives them growth, or Unreason, which, lacking any meaning, yet somehow brings forth a mathematically ordered cosmos, as well as man and his reason. The latter, however, would then be nothing more than a chance result of evolution and thus, in the end, equally irrational. As Christians, we say: "I believe in God the Father, the Creator of heaven and earth" -- I believe in the Creator Spirit. We believe that at the beginning of everything is the eternal Word, with Reason and not Unreason. With this faith we have no reason to hide, no fear of ending up in a dead end. We rejoice that we can know God! The Blessed Evangelist Luke says significantly: "And the name of the Virgin was Mary" (Luke i, 27.) This most holy, sweet, and worthy name was eminently fitting to so holy, sweet, and worthy a virgin. For Mary means a bitter sea, star of the sea, the illuminated or illuminatrix. Mary is interpreted lady. Mary is a bitter sea to the demons; to men she is the star of the sea; to the angels she is illuminatrix, and to all creatures she is lady. The work of the Lord is full of His glory; the most excellent work of the Lord is Mary. This work, as it was full of the grace of the Lord in this world, is full of the glory of the Lord in Heaven. 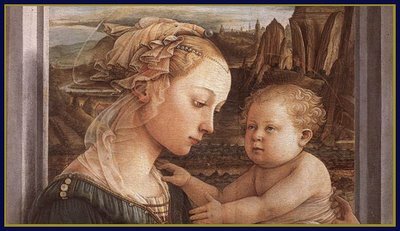 Thus, therefore, Mary, giving light by her glory, hath looked upon all things, because through all the angels and all the saints she spreadeth the illumination of her glory. What wonder if the presence of Mary illuminates the whole of Heaven, who also doth illuminate the whole earth? Hail Mary! This most sweet and affectionate name, so full of grace and so noble, so glorious and so worthy, excellently befits Our Lady. For most fittingly is so loving a virgin named Mary. For she is Mary, in whom there is no vice, and who is glorious with every virtue. The liberalizing document in ... November ? Father Laguérie is convinced that the Roman wind blows in the right direction. And he even believes he knows that "Rome is about to publish a document destined to restore the Traditional rite to its place, to liberalise its usage." "...one may say, I believe, that this giant step which has just been taken is, not only for us but for all the Church, is the sign, the preparation, the propaedeutics of this document which shall be released, certainly in November, in which the rights of the Traditional Mass shall be restored in all their dignity." P.S. Just to make it plainly clear: the affirmation is by Father Laguérie, which we cannot confirm nor deny. What we can confirm only is that he said it (which is the first time there is a clear and known source for the existence of such document and for the date of its expected release). It is not an anonymous rumor, but a quite identifiable declaration. Why dost thou admire these trifles? Why long for things of no real worth? How long is one poor? How long a beggar? Raise thine eyes to heaven, think of the riches there, and smile at gold; think of how little use it is; that the enjoyment of it lasts but for the present life, and that compared with eternity, the present life is as a grain of sand, or as a drop of water to the boundless ocean. This wealth is not a possession, it is not property, it is a loan for use. For when thou diest, willingly or unwillingly, all that thou hast goes to others, and they again give it up to others, and they again to others. For we are all sojourners; and the tenant of the house is more truly perchance the owner of it, for the owner dies, and the tenant lives, and still enjoys the house. And if the latter hires it, the other might be said to hire it too: for he built it, and was at pains with it, and fitted it up. Property, in fact, is but a word: we are all owners in fact but of other men's possessions. Those things only are our own which we have sent before us to the other world. Our goods here are not our own; we have only a life interest in them; or rather they fail us during our lives. Goods are named from use, not from lordship, and are not our own, and possessions are not a property but a loan. For how many masters has every estate had, and how many will it have! There is a sensible proverb, (and popular proverbs, when they contain any wisdom, are not to be despised,) "O field, how many men's hast thou been, and how many men's wilt thou be?" This we should say to our houses and all our goods. Virtue alone is able to depart with us, and to accompany us to the world above. Let us then give up and extinguish that love of wealth, that we may kindle in us an affection for heavenly things. These two affections cannot possess one soul. For it is said, "Either he will hate the one, and love the other; or else he will hold to the one, and despise the other" (Matthew, vi, 24). Seest thou a man with a long train of attendants, clearing a way along the streets, clothed in silken garments, riding aloft, and stiffening his neck? Be not overawed, but smile. As we laugh when we see children playing at kings, so laugh at his state, for it is no better than theirs, nor indeed so pleasant, for there is not the same innocence and simplicity as with children. With them it is laughter and pleasure, here is a man made ridiculous and contemptible. Notre Seigneur Jésus-Christ est réellement le Pasteur et l’évêque de nos âmes, l’apôtre Pierre l’enseigne dans sa première épître (I P 2, 25). Au même endroit, il exhorte les fidèles à suivre les traces du Pasteur. Cette exhortation de l’Apôtre doit être suivie, c’est évident, par tous les chrétiens. Mais elle concerne en premier lieu ceux qui ont été appelés à exercer dans l’Église une charge de pasteur, c’est-à-dire les évêques eux-mêmes et leurs coopérateurs prêtres et diacres, pour lesquels le Christ Bon pasteur, lui qui donne sa vie pour ses brebis, est l’exemple manifeste de la vie et du ministère apostolique. Dans un certain nombre de diocèses en France, les fidèles attachés aux précédentes formes liturgiques du rite romain, manquent de pasteurs disponibles pour apporter aux évêques une aide efficace dans la charge pastorale de ces fidèles. Récemment, dans l’archidiocèse de Bordeaux, est apparu un groupe de quelques prêtres sous le patronage du Bon Pasteur. Les membres de ce groupe s’efforcent d’aider son Éminence révérendissime Jean-Pierre Cardinal Ricard dans le travail paroissial, tout d’abord à destination des fidèles résolus à célébrer l’antique liturgie romaine. L’archevêque lui-même, convaincu de la grande utilité de tels coopérateurs, reçoit dans son diocèse cette communauté, en lui confiant l’église Saint-Éloi située dans sa ville épiscopale, avec la charge pastorale de ses fidèles. Ainsi, la Commission approuve pour cinq ans, ad experimentum, les constitutions dudit Institut telles qu’elles se trouvent dans le texte mis en annexe à ce décret. Enfin, aux membres de cet Institut, elle confère le droit de célébrer la liturgie sacrée, en utilisant, et vraiment comme leur rite propre, les livres liturgiques en vigueur en 1962, à savoir le missel romain, le rituel romain et le pontifical romain pour conférer les ordres, et aussi le droit de réciter l’office divin selon le bréviaire romain édité la même année. En dernier lieu, elle nomme le révérend abbé Philippe Laguérie premier supérieur de cet Institut. Rien de contraire n’y faisant obstacle. En la fête de la Nativité de la Bienheureuse Vierge Marie, le 8 septembre 2006. We would add as a comment, as we had said yesterday, that we really do not believe this new Institute has any impact on the Priestly Fraternity of Saint Pius X (FSSPX/SSPX) or on any eventual negotiations involving the SSPX and the Holy See. Moreover, it is not at first sight possible to perceive, unless undisclosed clauses exist, any particular new advantage of the new Institute as compared with, for instance, the Fraternity of Saint Peter (FSSP). "Far, far from the clergy be the love of novelty!" 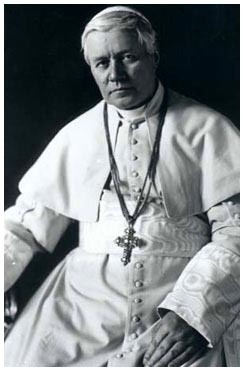 Exactly 99 years ago today, Pope Saint Pius X, after years of mild admonishments and loving rebukes, acting with the firmness of the charitable Father that he was, issued the strongest encyclical in modern history, Pascendi Dominici Gregis, a brief treaty on the newest heresy, the sum of all heresies: Modernism. The Church is alive! ... We see the time of the Enlightenment, during which Voltaire said: finally this ancient Church is finished, and humanity lives! But what happened instead? The Church renewed itself. The 19th century became the century of the great saints, of a new vitality for many religious congregations. The faith is stronger than all the movements that come and go. Just so: the Church lives today, despite the violent warfare waged by the Modernists, insidiously and openly, for more than 100 consecutive years. During the next twelve months, we will try, within our very limited intellectual means, to celebrate the memory of this giant of the faith, Saint Pius X, and his struggle, which was not in vain, against Modernism, the "Enlightenment of the Faith". We invite all our friends in other weblogs and forums to do the same. Let us all celebrate, in 2007, 100 years of this great document. Sancte Pie, ora pro nobis! First Report; Communiqué of Cardinal Ricard. The Priestly Fraternity of Saint Pius X has taken note of the signature, today, of the decree of erection of the Institute of the Good Shepherd, by Cardinal Castrillon Hoyos, an institute of Pontifical Right especially founded for five priests and some seminarians who [once] belonged to the work founded by Abp Lefebvre. The erection of this Institute is not a surprise. It belongs to the logical sequence of the steps taken by some of these priests, for several months, alongside the Commission Ecclesia Dei for a canonical regularization: the signature of the "formula of adhesion", the issuing of a "celebret", and the search for incardination. This institute itself does not constitute a canonical innovation. The Commission Ecclesia Dei has supported, since its creation in 1988, similar foundations: the Fraternity of Saint Peter, the Fraternity of Saint John Mary Vianney of Campos (Brazil)[*]... In fact, the Institute of the Good Shepherd is to particularly more similar to the Saint Philip Neri Institute of Berlin, also of Pontifical right, founded in 2003 for a priest and four seminarians. It is a very precarious foundation today... The future will tell what distinguishes the new institute from the preceding initiatives. The Fraternity of Saint Pius X recalls, on this occasion, that it cannot endorse a communitarian solution, in which the Tridentine Mass would be confined to a particular statute. The Mass of the bimillenial Tradition must enjoy in the Church full and complete Right of Citizenship. It is not a privilege reserved for some, it is a right for all the priests and all the faithful of the universal Church. 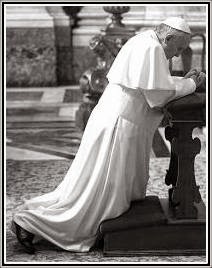 This is why the Fraternity of Saint Pius X invites priests and faithful to join its campaign of prayers the purpose of which is to present Pope Benedict XVI next October with a million rosaries for the complete liberation of the Traditional Mass. *This is a factual mistake, since there is no such Fraternity: the priests of the Apostolic Administration of Saint John Mary Vianney are secular priests whose obligations and rights are those of any diocesan priest, and not members of a Fraternity. "a decision... taken by the Pope himself"
Read first report. Communiqué of the FSSPX, read here. From the beginning of his pontificate, Pope Benedict XVI has conveyed his wish for a return to full communion of those who have followed Abp Lefebvre and has wished to make welcoming gestures regarding them. It is in this sense that the decision to erect this new Institute was taken by the Pope himself. There is in such decision the will to propose an experiment of reconciliation and of communion which should still strengthen itself and deepen in practice. That is why the statutes of this Institute are ad experimentum for a period of 5 years. Rome érige une nouvelle fraternité traditionaliste accueillant d’anciens prêtres et séminaristes de la Fraternité saint Pie X. La Congrégation pour le clergé a érigé, le 8 septembre 2006, un nouvel institut religieux, ‘le Bon pasteur’, accueillant en son sein d’anciens prêtres et séminaristes de la Fraternité saint Pie X séparée de Rome depuis 1988, selon des informations recueillies par I.MEDIA. Le siège de cette nouvelle fraternité où les prêtres célébreront exclusivement selon le rite liturgique traditionnel de saint Pie V pourrait être à Bordeaux (France), à l’église Saint-Eloi. Dans la matinée du 8 septembre 2006, jour de la fête de la Nativité de la Vierge, le cardinal Dario Castrillon Hoyos, préfet de la Congrégation pour le clergé et chargé de la Commission Ecclesia Dei, a signé le décret d’érection de l’institut de droit pontifical du ‘Bon pasteur’. Il s’agit d’une société de vie apostolique dépendant à la fois de la Commission Ecclesia Dei et de la Congrégation pour les instituts de vie consacrée et les sociétés de vie apostolique. Dans ce décret, le cardinal Hoyos a approuvé les statuts du nouvel institut qui a pour supérieur général un prêtre exclu de la Fraternité saint Pie X, le bouillonnant abbé Philippe Laguérie. De sources vaticanes, la nouveauté réside dans le fait que “Benoît XVI lui-même ait souhaité cette démarche“ dans laquelle “le missel traditionnel de saint Pie V n’est pas un missel à part, mais bien une forme extraordinaire de l’unique rite romain“. Au Vatican, comme parmi les membres du nouvel institut, on insiste pour dire que “cet accord correspond aux requêtes faites autrefois par Mgr Lefebvre“, séparé de Rome en 1988. La nouvelle fraternité compte dans ses rangs, outre cinq prêtres, plusieurs séminaristes dont certains devraient être prochainement ordonnés. Le cardinal Dario Castrillon Hoyos s’est engagé à célébrer ces premières ordinations. Les responsables de la fraternité tablent aussi sur le fait que des prêtres de la Fraternité saint Pie X choisiront de les suivre et qu’ils pourront fonder, dans divers diocèses, des ‘paroisses personnelles’. A Bordeaux, Paris et ailleurs, ces prêtres sont suivis par un certain nombre de fidèles attachés au missel de saint Pie V, rite liturgique en vigueur avant la réforme liturgique de 1969. Avec ce nouvel institut, Rome a choisi de négocier avec des exclus de la Fraternité fondée par Mgr Lefebvre plutôt qu’avec la fraternité elle-même. L’accueil d’anciens prêtres intégristes ne se fera pas sans mal dans l’Eglise de France. La Fraternité Saint-Pierre, fondée en 1988 pour accueillir prêtres, séminaristes et fidèles voulant rester rattachés à Rome dans le respect de la tradition liturgique, devrait aussi souffrir de cette nouvelle création. D’autant que certains de ses membres semblent prêts à rejoindre ‘l’Institut du Bon pasteur’. Le cardinal Ricard, archevêque de Bordeaux, membre de la Commission Ecclesia Dei, pourrait accepter que l’église Saint-Eloi devienne le siège de la fondation du Bon pasteur. Il ‘récupèrerait’ ainsi une église du diocèse de Bordeaux occupée depuis janvier 2002 par l’abbé Laguérie, alors membre de la Fraternité saint Pie X, avec le soutien du conseil municipal de la ville. L’accueil de prêtres exclus de la Fraternité saint Pie X séparée de Rome a lieu alors que plusieurs évêques ordonnés par Mgr Lefebvre en 1988 continuent de durcir le ton face au Saint-Siège. Mgr Bernard Fellay, reçu en audience par Benoît XVI en août 2005 à Castel Gandolfo, et confirmé par ses pairs en juillet dernier à la tête de la Fraternité Saint Pie X, a présenté “la liberté entière et sans conditions pour la messe tridentine et le retrait du décret d’excommunication des quatre évêques“ ordonnés en 1988 par Mgr Lefebvre comme préalable à toute négociation avec Rome. Depuis, il a lancé une initiative appelée “bouquet d’un million de chapelets“ avec laquelle il invite à prier pour “obtenir du ciel la force nécessaire à Benoît XVI pour libérer la messe dite de saint Pie V“. En mars 2006, l’abbé Philippe Laguérie déclarait déjà qu’un “accord avec Rome“ était “une évidence telle qu’on se demande comment elle a pu sortir de la tête et du cœur de beaucoup“ car “c’est la constitution même de l’Eglise qui l’exige“. Cet accord, écrivait-il, ne suppose pas d’avoir “d’abord, au préalable, aplani toutes les difficultés doctrinales“. Il invitait aussi ses fidèles à “scruter les signes, les manifestations, les possibilités d’une bonne volonté des Romains d’en finir avec le délire doctrinal et les scandales des années 1960-2000“. Il demandait “une liberté totale de la liturgie, et sur des raisons de fond, ainsi qu’une liberté totale de recevoir le Concile pour ce qu’il est“, notant que “le document du pape à la curie (22 décembre) (…) indique bien que l’esprit du Concile est mauvais“. En avril 2006, à Lourdes, le cardinal Jean-Pierre Ricard déclarait devant l’ensemble des évêques de France que “la question des relations avec la Fraternité saint Pie X“ méritait “un traitement particulier“. “Nous savons que le pape Benoît XVI en porte le souci“, expliquait-il, ajoutant que, “dans les semaines ou les mois qui viennent, il devrait donner des directives pour faciliter le chemin vers un retour possible à une pleine communion“. “Nous les accueillerons dans la foi et les mettrons en œuvre fidèlement“, lançait encore le cardinal Ricard aux évêques. Les prêtres qui composent la nouvelle institution traditionnelle ont été tour à tour exclus de la Fraternité saint Pie X. L’abbé Paul Aulagnier, longtemps supérieur général en France de la Fraternité (1976-1994), a été exclu en 2003 pour avoir défendu les accords dits ‘de Campos’. En 2002, le Saint-Siège avait ainsi accordé à la fraternité brésilienne saint Jean-Marie Vianney de célébrer la messe selon le missel tridentin à condition de reconnaître le Concile Vatican II interprété “à la lumière de la tradition“ et la validité du missel de Paul VI. Paul Aulagnier a été autorisé à exercer par le diocèse de Clermont, sans recevoir mission particulière en 2004. Il a aussi fondé une maison d’accueil dans le diocèse de Chartres. Particulièrement médiatique, l’abbé Philippe Laguérie a été exclu en août 2004 après avoir affirmé que la Fraternité saint Pie X rencontrait de graves problèmes liés à un découragement de vocations sacerdotales dans ses différents séminaires. Il a fait l’objet d'une mutation disciplinaire au Mexique, sanction qu’il a refusée avant d’être exclu. Avant cela, au sein de la fraternité fondée par Mgr Lefebvre, il avait été curé de l’église parisienne de Saint-Nicolas- du-Chardonnet, occupée par les fidèles traditionalistes depuis 1977. En 1993, il avait tenté d’occuper une autre église parisienne, Saint- Germain-l’Auxerrois. Il a réussi l’opération à Bordeaux en obtenant du Conseil municipal de la ville, mais pas de l’archevêché, d’occuper l’église Saint-Eloi, en janvier 2002. L’abbé Christophe Héry a été exclu pour avoir soutenu l’abbé Laguérie, tout comme l’abbé Guillaume de Tanoüarn. Ce dernier a fondé à Paris l’association cultuelle Saint-Marcel et le centre Saint-Paul. Un cinquième prêtre, en poste à Bordeaux, l’abbé Henri Forestier, fait partie des premiers membres de l’institut, avec un diacre, prochainement ordonné prêtre, l’abbé Claude Prieur. Today, the 8th of September, the Vatican created a religious institute of pontifical right (The Institute "Good Shepherd"), to accommodate 5 priests who had been expelled from the SSPX (such as Fr. Laguérie) and a few seminarians. Of more general import, is that, according to the piece, the Holy Father wishes to establish that the Traditional Missal is not a separate missal, but as a mere variation of the Roman Rite. Translation of the whole text by Father Zuhlsdorf; see Decree (in French) and further comments (in English) here. We have to thank one of our most diligent South American readers for this piece of news from the largest city in South America, Sao Paulo (home to a man considered a "papabile" in the last conclave, Cardinal Hummes -- it seems the cities named after Saint Paul have some remarkable archbishops!). 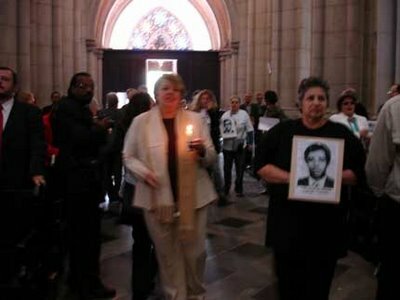 Last week, an "ecumenical [actually, interreligious] service" was held at the Metropolitan Cathedral, one of the largest Neo-gothic structures in the Western Hemisphere, as a homage to the remains of a Marxist guerrilla leader killed by the Brazilian military régime in the 1970s. "An atheist by conviction, as a Communist militant, 'Comandante Crioulo' [his alias] received the homage of religious [leaders] of African persuasion, such as Pai Francisco de Oxum, Pai Persio and the ogans [some kind of 'divinized' drum players, see here] of the orishas Ogum and Oxossi [African gods, see here] and ebomi Conceição Reis de Ogum, vice-president of the National Institute of African-Brazilian Tradition and Culture (Intecab). Tata Nkisi Taua, president of the Confederation of Angola Kongo Traditions in Brazil (Cobantu) also took part in the ceremony, with his mametus and makotas [as far as we can tell, other kinds of followers of African gods]. They sang chants from the altar of the Cathedral to the dead militant. ... 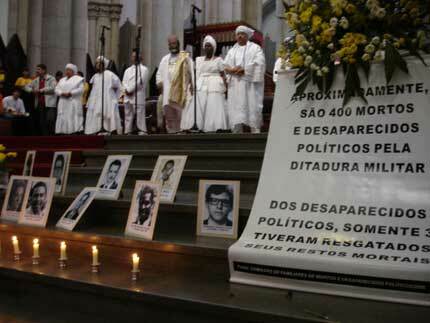 Representatives of the Jewish and of the Muslim communities of Sao Paulo also took part in the celebration." 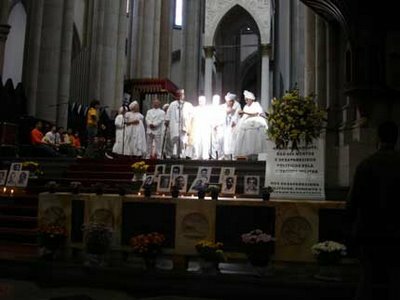 The article also says that "the solemn service... was presided by Father Julio Lancelotti" and that, in the end, the "Internationale" [the international Socialist-Communist anthem] was played. Our reader, who was present at the service, tells us that, during the performance of the African-Brazilian priests and priestesses, a dead black chicken was placed on the altar, though he could not ascertain if it had been sacrificed beforehand. P.S. The warnings of Pope Benedict regarding what should be avoided in interreligious meetings are somewhat clear -- yet, it does not seem that his words are truly heard. Third part of our Interview Week. As a Church historian, Perrin has deeper knowledge of all aspects involved in the current disputes in the Church than most analysts. One year after the historical visit of Bishop Fellay to Castelgandolfo, we asked him a few questions. "Professor Perrin, thank you for accepting our invitation. It has been a year since the Pope's meeting with Bishop Fellay, Father Schmidberger, and Father Nély in Castelgandolfo. Has the Traditionalist situation improved during this period?" First precision and if you may correction : "the Traditionalist situation" is not entirely dependent on the relationships between SSPX and Rome. It is a common erroneous simplification. So the real "starting point" is not the late August 2005 meeting between Bishop Fellay and pope Benedict XVI, but the pontifical election of April 2005. Any pope can seriously improve "the Traditionalist situation" if he wants so and if he feels it is a necessity, with noticeable repercussions, far beyond the existing Traditionalist movement : the Roman traditionalists under the present regime of 1984-1988 indult and motu proprio, sometimes called Ecclesia Dei Catholics, the SSPX and those among the independents that recognise the legitimacy of the pope ; maybe some sedevacantists could be influenced by the way by such an improvement. One major question at stake in the traditionalist debate - there are others - is the liturgy. Everybody knows Joseph cardinal Ratzinger, now Bishop of Rome, wrote extensively on the numerous failures of the so-called "Liturgical reform", that is, the revolution that instaured or established the Novus Ordo Missae and the general swift in Catholic mentality from a Mass centered on the mystery and the seek of a communion with God as Eucharistic Body into a "celebration" full of noise and agitation, the stage of a battle for some lay militants to play a priestly role, a trivialisation and obfuscation of the central Catholic (and for the Eastern Churches) doctrine of the Real Presence. The Cardinal who constantly blamed this liturgical revolution of the 1960s and 1970s is now the reigning pope. Those who are claiming this revolutionary destruction of the sacred is one cause of the Church crisis are not only the Traditionalists. 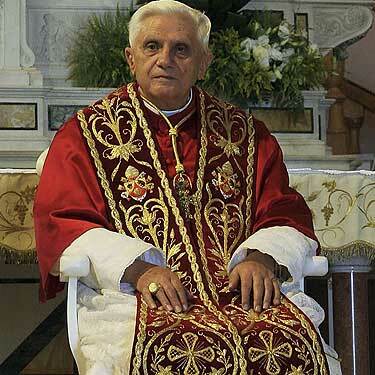 By the way, cardinal Ratzinger made it perfectly clear he was not a Traditionalist himself. So since April 2005, what has been done ? In terms of decisions, in terms of real achievements, the answer is very easy: nothing! Everybody in the Church was waiting for a move on the Liturgical field, whether freedom for the Traditional Latin Rites (the Roman rite 1962 missal, and all the other Latin rites like the Ambrosian...) or some first steps in the "reform of the reform" (revising N.O.M.) 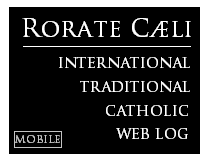 ; at least, a clear orientation but the initial encyclical Deus caritas est is addressing another topic. A superb occasion was offered by the Synod of Bishops October 2005 and has been wasted. The elite of the Catholic episcopate is still entrenched in the delusional "Renewal" : too many bishops, like a vast majority of priests and numerous militant faithful are living in the 1960's-1970's world, trying to accommodate the liberal media with a drop of feminism, more "fun", more "inculturation". All the "solutions" that have been proven, after 40 years, destructive and negative, they want ... more. Some like cardinal Daneels are considering the disaster but cannot face the real solutions : there is no sake out of N.O.M. and the Bugnini "Renewal", according to them. We can only hope the post-synodal exhortation the pope is going to deliver will be more relevant than the mediocre proposals that have been made public, for the first time, after the Synod. 2006 saw some events that could lead to some improvements. The SSPX question has been officially debated in 2 Curial meetings and during the Consistory. We have to go back to 1986 to have such a focus given by Rome to this problem. Even the 2000-2001 talks never got this level of attention. In June and July, the newly appointed Sri-Lankan secretary of CDW, Abp.Patabendige Don, delivered striking interviews pointing out the failure of the "reform" on several accounts. Nothing new in fact except that nobody at that level of responsibility (n°2) ever talked like that before ! Boring statements on the "richness" of the new liturgy, ecstatic references on the mass of the Council (sic), ritual praise of the Great Experts, enthusiasm, joy etcetera. The Stalinist or Orwellian language of the neo-liturgical establishment is well known by the (un)happy few who have to read these piles of documents. It has also to be said that CDW is a Bugninist fortress, the temple where the memory and misdeeds of late Abp. Bugnini, the architect of N.O.M., are revered. But no matter how strong and refreshing these statements of Abp Patabendige Don may be, they are still words for the moment being. Finally everybody - whether in favor or opposed - is waiting for a first decision in Liturgy : the canonical status of Roman Traditionalists is left unchanged, the practical and canonical status of the Traditional Latin Rites is as confused as it was under John-Paul II, discussions with SSPX have brought nothing new on the table. The Liturgical chaos of N.O.M. is there just like it was in April 2005. The genuine renewal is still an expectation. Traditionalists can reasonably expect the timing will be more alert than during the pontificate of John-Paul II : meeting with Abp. Lefebvre in 1978, first Instruction to correct a few gross abuses in N.O. masses 1980, publication of the Indult allowing bishops to grant the celebration of the 1962 missal ... 1984. With a similar time-table, "the Traditionalist situation" would improve in ... 2011. "As you mentioned, there were many interesting and rapid developments in Rome in the first months of 2006. Even the French Bishops said, at the end of their Spring meeting, that some development in favor of Traditional Catholics would be forthcoming from the Holy See in 'the next weeks or months'. From a historical perspective, do you believe that the Pope has been pressured to stop the next developments? Or is it, as many believe, a strategic suspension before stronger measures?" Cardinal Ricard said later it is likely something, he stressed he was just guessing, could happen in 'the next weeks or months'. But your readers must know the outcome from the French Bishops conference meeting held in Spring was certainly not "in favor of Traditional Catholics"! Basically the French Bishops as a Body solemnly rebuked the creation of a Personal Apostolic Administration for the present Roman Traditionalist faithful, they set up a small task force to draft guidelines, i.e. a straitjacket to prevent new benevolent French bishops to act like Bp Rey did and painfully accepted the possible decisions of the Holy See related to SSPX. But the idea of a possible reconciliation with the Society is such a torment for a majority of the French episcopate that the Conference listed 3 very poorly phrased conditions for a full communion with the Church, one of them - the absolute prohibition of any criticism of N.O.M. - would make the present pope (and many with him) ... a schismatic ! Let us just look at a fact : Abp Lefebvre met John-Paul II in 1978 and raised several questions, among them the Mass. The pressure on the benevolent Polish pope was so intense that the Indult was only published in 1984, and CDW poured so many restrictions in it, this document was nearly not implemented before the 1988 motu proprio Ecclesia Dei adflicta. I'm not a mouse living in the corridors of the Vatican but there is no doubt that huge pressure is applied on pope Benedict. Catholic News Service (Aug. 25, 2006) is printing an interview of Bp Fellay : he says "I think probably the pope would like things to go quicker, and he's probably facing a lot of opposition from the cardinals, from within", adding that in one year "there's been no development" on the issue. Indeed this is factual. However I would be surprised if the pope decides to give up and bend to the hostile lobby. We have already mentioned the declarations of the CDW secretary and mid September, the new secretary of State, cardinal Bertone, will replace cardinal Sodano : a more Ratzingerian Curia is slowly emerging. According to the legend, the Corbinian bear on the papal coat of arms was not a fast runner but he didn't flee away from his duty. The Traditionalist question is a decisive part of a wider picture where the future and health of the Church are at stake : former cardinal Ratzinger knew it, pope Benedict will have to face it too with the inevitable unpleasant backlash. "What do you believe the reelection of Bishop Fellay as head of the FSSPX means, especially regarding the dialogue with the Holy See?" It's a question hard to respond because it depends on where you stand : a supporter of Bp Williamson, a journalist of "La Croix", Fr. Aulagnier, cardinal Castrillon Hoyos and, say, many West European bishops, all will look at the event from different perspectives. First, the reelection was more than expected : it's nearly written in the SSPX constitutions. Abp Lefebvre was inspired by the old constitutions of the Holy Ghost Fathers : the majority within the Chapter general was given to priests appointed by the Superior general to a list of responsibilities and only a minority of "delegates" were elected. Abp Lefebvre drew radical conclusions from his own experience in 1968 and suppressed entirely the election, the minority of non appointed members in the Society is made out of the oldest in membership. Consequently, the Superior general had an overwhelming potential support within the Chapter general : he made no mystery he was ready for a second mandate of 12 years so if he had not been reelected, we would have a serious crisis within the Society. Continuity prevailed and we can guess the leading members of SSPX are supporting the complex "centrist" policy of Bp Fellay. Are the rank and files supportive just as well ? Without any election, it's difficult to say. However the unity of the SSPX remains intact after this reelection, which means apparently some wider support to Bp Fellay. From a benevolent Roman point of view, this was probably the best possible issue. At least, Bp Fellay made it clear he wants to keep alive a link with the Holy See, he doesn't reject the "conciliar" episcopal body, he has been stressing for many years the importance of "Romanitas" within the SSPX, when the de facto schism was reducing the Church to an ideal, a philosophical notion. With the Great Jubilee of 2000, Bp Fellay urged his priests to contact the hierarchy in order for the faithful to gain the indulgence through the scheduled pilgrimages, culminating in the Society pilgrimage to Rome. The talks and the - alas too brief - encounter with pope John Paul II in 2000 were a consequence of this general attitude of Bp Fellay, joined to a renewed longing for a reconciliation from the pope, actively helped there by the then new president of P.C.E.D., Dario Cardinal Castrillon Hoyos. But we all know what did ... not happen. A powerful Curial and episcopal opposition threatened an ill, exhausted pope on one side, tensions and fears within the SSPX on the other side and everything was "stalled" as Bp Fellay once said. The reconciliation like a mirage vanished again, nevertheless leaving the Church with a new canonical structure, the Personal Apostolic Administration of Campos (Brazil) and the first bishop consecrated in full communion with Rome in the Traditional Roman Rite since 1969. In this case, everybody is able to notice similarities : history seems a sort of perpetual repetition. The August 2005 meeting with Benedict XVI was much longer, some talks took place again with the same Cardinal-president of P.C.E.D. and the same hostile voices were heard : negative echoes came from the Curial meetings presided by the pope, very reluctant cardinals spoke at the Consistory and on the other side, the same tempestuous hostility from Bp Williamson, joined by Bp Tissier de Mallerais, cold and warm showers alternating whether from Rome or Bp Fellay. Ultimately none of the 2 conditions posed by SSPX in the beginning of 2001 are fulfilled today. For Bp Fellay to change his "centrist" orientation - no shift toward a de facto sedevacantism, no formal reconciliation -, would be possible only with a significant move from the Holy See on these 2 prerequisites. The doctrinal questions, which are very important for the whole Church, are still to be addressed by the way. Skipping them for a purely canonical agreement is not an option, as far as I can know. A split within the Society would be hard to avoid then, the positive consequences of a reconciliation on the rest of the Roman Church would be then reduced to the Society chapels. Cardinal Ratzinger suggested in 2002 a sort of mixed commission to discuss the disputed points of Liturgical doctrine. I've always felt it was a way to be tried, following the experience of the ecumenical dialogue, but maybe with a more substantial hope to find an issue. His Holiness will need to do more than whispering at some gentle Curial ears to be heard on this decisive question. "As a historian, do you see fundamental differences between Archbishop Lefebvre and Bishop Fellay in their respective attitudes regarding relations with the Holy See?" As a historian, I must stress the radically different contexts where both had to make decisions. Abp Lefebvre was looked at with pity as a poor old missionary who missed the train of Progress and Destiny, who was unable to marvel at the wonderful "modern world" with its fantastic opportunities for the Catholic faith, who didn't share the certitude of the imminent reconciliation of all Christian Churches promised by the always-smiling ecumenists... A Scotsman would say he was a "crabbit", one of those complaining, procrastinating people, a mere reactionary condemned to die and to be forgotten. Summer 2006 : the provincial superior of the Jesuits in France was warning against the major "risk", according to him, of marching back into the Catholic past. Needless to say that today Tradition is taken more and more seriously within the Catholic Church, even by those who are loathing it. Questions raised by SSPX and the Traditionalist movement at large have today a much bigger echo in the Church, even if there is a range of various responses. The context for moving to a reconciliation is undoubtedly better for Bp Fellay than it was during Abp Lefebvre's time. Otherwise, I'm struck by some crossed attitudes : Abp Lefebvre was more on a radical, separatist position during the 3 last years of his life and had been permanently open to a negotiation in the previous years from 1974 to 1988. Bp Fellay was first elected in a context of "cold war" between Rome and SSPX and went into what I call his "centrist" policy in the second half of his first mandate. The context is playing here a major part as we said before. That being said, both have accepted to meet Roman officials, both have met bishops, both have accepted to meet the pope (3 times for the Abp, twice for Bp Fellay), both have always pledged to refuse any formal schism. Abp Lefebvre was even reconciled during a night in May 1988, after signing an agreement drafted by ... Joseph Ratzinger. The lack of trust in a hostile context lead to what happened next. Nobody knows what the Holy Ghost may inspire to both sides in the coming future. "Do you have any comment on Bishop Williamson's latest words?..." Bp Williamson and Bp Tissier de Mallerais have, before the Chapter general, made both clear they were opposed to the "centrist" policy of Bp Fellay. Both had made similar statements already in 2001-2002 : Bp Tissier went as far as to consider the present Roman Catholic Church is not a Christian Church, casting serious doubts on the validity of the "conciliar" priesthood, calling it a "gnostic priesthood" (homily of June 27, 2002). Even the generally discreet Bp de Galaretta told nearly the same thing as Bp Williamson in this interview. In a homily in June 3, 2001, he was considering the Church being divided in two categories of modernists : the "speculative" modernists, radically opposed to the SSPX and the "pragmatic" modernists "more practical, naturally more conservative because they adjust themselves to realities, and so more open to us, but they are also false and double faced people". Nothing new under the sun as you can see ! This is reflecting the constant dilemma that regularly shakes the Society founded by Abp Lefebvre : in 1976 the Abp had to expell Fr. Guérard des Lauriers o.p. from the teaching staff at Écône seminary because of his "Cassiciacum thesis", a very subtle theory that has been called later "Sedeprivationism", a complex form of sedevacantism. On the other hand, in 1988-1989, several priests left the Society to join the full Roman communion, launching what has become the "Ecclesia Dei" movement. Bishops Williamson and Tissier are both pushing the pendulum as close as possible to Fr. Guérard des Lauriers without trespassing the Rubicon, like approving Fr. Cekada's Sedevacantism. Studying Abp Lefebvre's life, you will find whatever quotation you need to back up the centrist position of the reelected Superior general, the radical anti-Roman stance adopted by Bp Williamson and the compromise option advocated by Fr. Aulagnier before his eviction from SSPX. But beyond these pressure games within SSPX, very similar to the pressure strategies played within the so-called "conciliar" Church, Bp Williamson is pointing out a crucial question, which is the core of the Traditionalist question the Church has to face, whether She likes it or not : the neo-modernist philosophy that has pervaded through the Church. What is acceptable, inevitable or necessary ? What is lethal for the Catholic faith ?